Moving to a new home is a stressful time for many homeowners and renters. Conducting a thorough move out cleaning is beneficial for both you and the next person moving in. If you’ve got a security deposit you’re trying to get back, it’s even more critical. But who has the time? You need pack up all your stuff, clean out the garage, and load up the moving trucks. Maid Bright cleaning crews specialize in providing thorough move in and move out cleaning service for homeowners and renters in the Herndon, VA area. Our team is here to help you smooth your transition to your new home by providing a detailed final cleaning ensuring the new residents arrive happy, and you can focus on the next chapter of your life. Give us a call today to get a free pricing estimate. We’ll meet with you in your home to evaluate the space, discuss your needs, and schedule the date of your cleaning. Move out cleanings allow you to put the final touches on your home before handing it over to new tenants or owners. With all of your stuff out of the way, our crew can get to work making it look even better than when you moved in. We use a comprehensive checklist that covers the ceilings down to the baseboards. Our checklist is entirely customizable, so if you live in an apartment with specific move out cleaning instructions, just let your crew know. They are there to guarantee your apartment or home is ready for its new occupants. Whether you are preparing your home to show off to prospective buyers or just trying to earn your security deposit back, our crew is standing by to help. We guarantee you’ll be satisfied with the service, or we’ll come back and clean it again! If you’ve just purchased a new home or are moving into a new apartment, a move in cleaning will guarantee you a fresh start. You can arrive knowing that the property has been cleaned and disinfected from top to bottom by an expert Maid Bright cleaning crew. Before you’ve unpacked, make sure that your new home is clean and ready for your family. 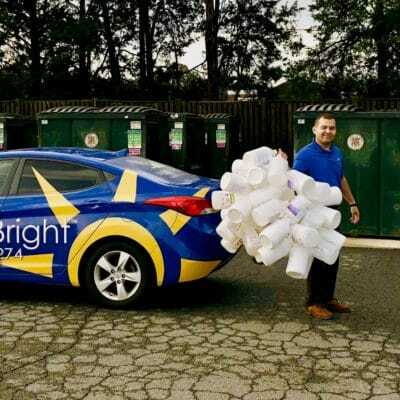 Give Maid Bright a call today to get a free quote for move in or move out service. Pricing is primarily based on square footage. Why Choose Maid Bright for Professional Cleaning Service? Maid Bright has been providing expert residential cleaning services in the Herndon, VA area for over a decade. In that time we’ve established a reputation as the number one local provider. The cost of your home cleaning should be no surprise. Give us a call today for a free estimate on your service. We’ll evaluate the property, consider any special instructions you might have, and give you an accurate price quote before we clean a thing. We have partnered with Children’s National Hospital in order to raise the standard for pediatric care by donating a portion of our proceeds. We exclusively use cleaning products and methods that are safe for your home, your family, and the environment. 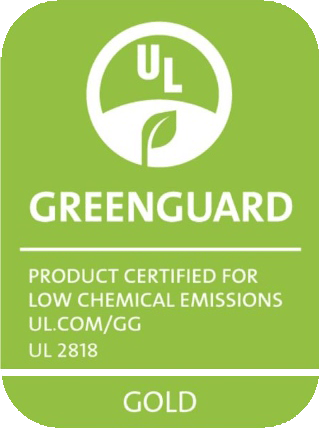 Every product our crews use carries the Green Seal of Approval, guaranteeing its safety for people, pets, and the planet. If you prefer any cleaning products to the ones our team uses, just provide them for your cleaning crew and they will happily use them. 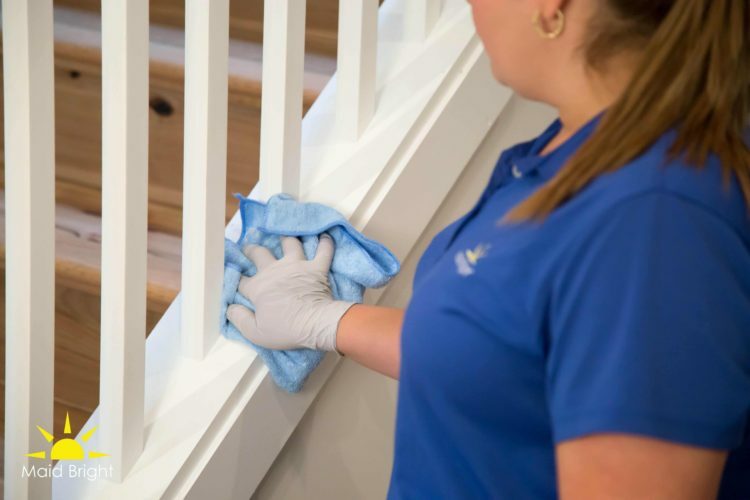 Our crews are specially trained to provide thorough, detailed cleanings that ensure an immaculate home from top to bottom. They use a comprehensive checklist that covers every detail of living rooms, bedrooms, kitchens, and more. Some people like their homes cleaned a certain way. That’s not a problem; our crew is more than happy to follow any special instructions you have for the cleaning. Request a quote, and we’ll provide a free, in-home consultation. During the consultation, we will evaluate the space, discuss any special requirements you have, and give you a free estimate. On the day of your home cleaning, your crew won’t leave until the place is spotless. Just click the button below to get started!